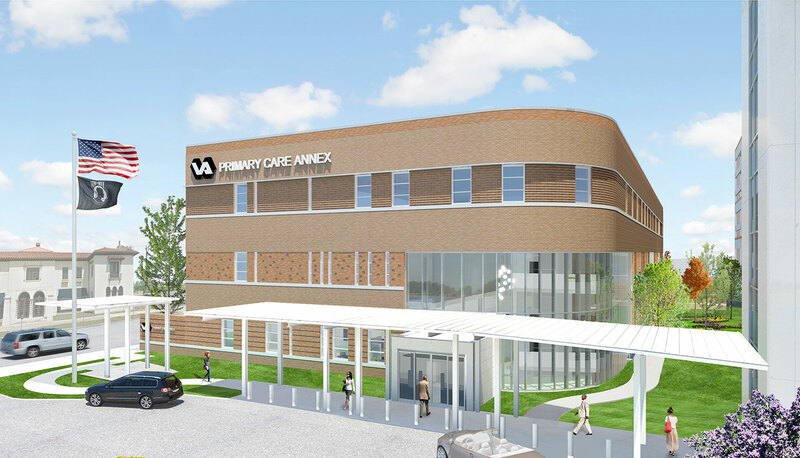 Profile:Birmingham's Veteran's Affairs Primary Care Annex is a general medical, surgical, teaching hospital, clinic and trauma center. Architect Page faced grading challenges at the urban site, which holds the three-story brick structure and eight-level parking deck, joined by a large garden. Services available here include ambulatory care, audiology and speech, prosthetics, physical medicine and rehabilitation. Departments include pharmacy, radiology, pathology, and police/security.